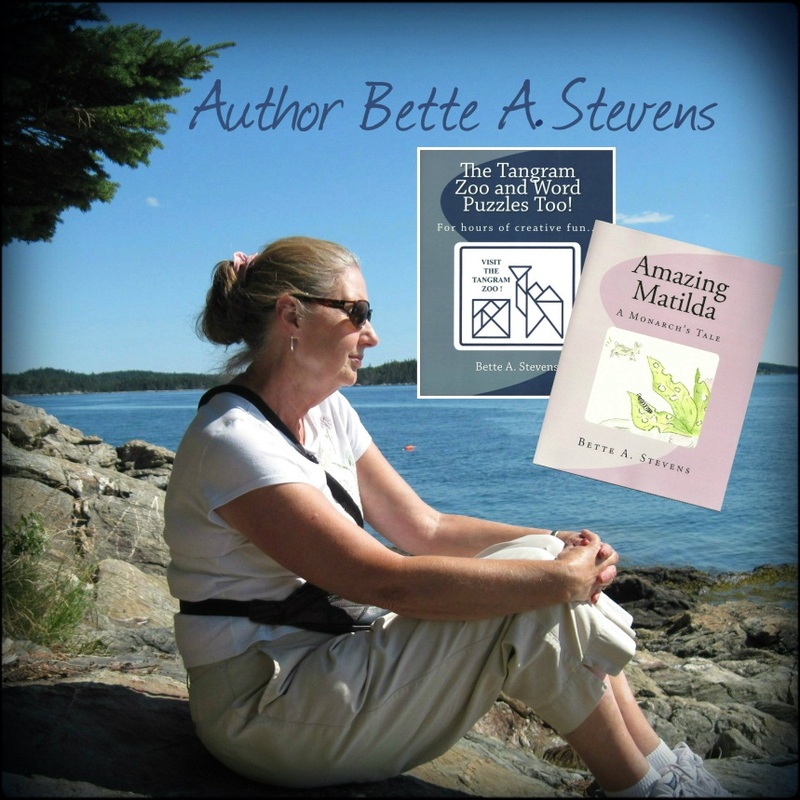 A big welcome to Bette A. Stevens, author and illustrator of children’s literature! I was born in Upstate New York, where I grew up and graduated from high school. Highland Falls, New York is where I met and married my husband of 47 years. When we met, Dan was an Army PFC stationed at West Point. It was love at first sight for both of us. Dan was from New Hampshire. We’ve been together through the ups and downs of life and still call one another best friends. We’ve continued to support and encourage one another all through those years. We have two grown daughters, plus five grandchildren; and we are expecting our first great grandson to arrive in March. In our early years, we made a move to Southern Maine. Dan had bought his grandparents’ farmland, a 47-acre parcel that had been burned over in the great fire of 1947. In 1974, we decided to leave our New York world to become ‘back to the landers’ and raise our children in the country. That was quite an adventure. We ended up building a house, garage and two barns without a mortgage. It took us nearly 15 years. During that time, we became farmers of the ‘come pick your own’ variety and raised Shropshire sheep to sell for wool and meat. And, of course, we had a variety of barnyard animals including chickens, ducks, geese, and rabbits. It was a great place to raise a family and enjoy “Life the Way It Should Be,” as the Maine slogan tells visitors. We both had regular jobs as well. Dan was a carpenter and I worked as an office manager. Later we sold the farm and bought an old Victorian (14 rooms) in Central Maine and restored it. That took a lot of research and a great deal of hands-on labor. It was a labor of love. I was hired by one of New England’s largest construction companies as an assistant to the president and CEO and became editor of the company newsletter. Through the years, Dan and I took college classes, in pursuit of getting get our degrees. And that, we did. In 1994 Dan graduated with a B.S. in Business and was hired by the Department of Defense as a financial analyst. Meanwhile, I was in the midst of earning my own degree, a B.S. in Elementary Education. Dan’s new government job took us to California. Degree in hand, I taught fourth graders in the Mojave Desert and second language learners (grades 6-8) on the California Coast. Teaching was a dream come true for me. Next move, Northern Virginia, where Dan worked for DOD again and I taught fourth and fifth graders Social Studies and Language Arts. As retirement time approached, we moved back home to Maine, where several years earlier we had purchased a neglected farm on 37 acres. That’s where we are now, retired and enjoying the good life. Dan’s restoring the old farmstead, with a little help from me, his go-fer. And me, I have time to write and illustrate my books. I love nature and collect everything from seashells to birds’ nests. Dan and I enjoy occasional day trips to the coast and my camera is always ready for the next great nature shot. Life is good. It sure sounds like it! I envy you. When did you begin writing and illustrating? I’ve been writing most of my life. Poetry and family stories. But my main focus was business writing until the early 90s. That’s when I took a creative writing course and started with short stories. Over the years, I took classes in watercolor and tole painting. I’ve always loved art and have been a collector of the yard sale/thrift shop variety. I love to sketch and to paint with water colors. I’ve sketched most of my family members and some friends, as well as a self-portrait. I’ve painted small still lifes and landscapes as gifts. Writing, sketching and painting are among the many things that I love to do. I enjoy going to art museums, and I admire many artists. Two of my favorites are Claude Monet and Winslow Homer, but there are so many more. I began writing seriously while I was teaching. I wanted to have some books that I could use to help my students learn how to write. It was exciting, fun and challenging: both the writing itself and the teaching of writing. Tell us about your genre and where the character inspiration for your artwork comes from? My two published works are children’s books. “The Tangram Zoo and Word Puzzles Too!” includes poetry, math and science research. It’s a children’s activity book. The original art for that book was done by hand with pencil and ink. 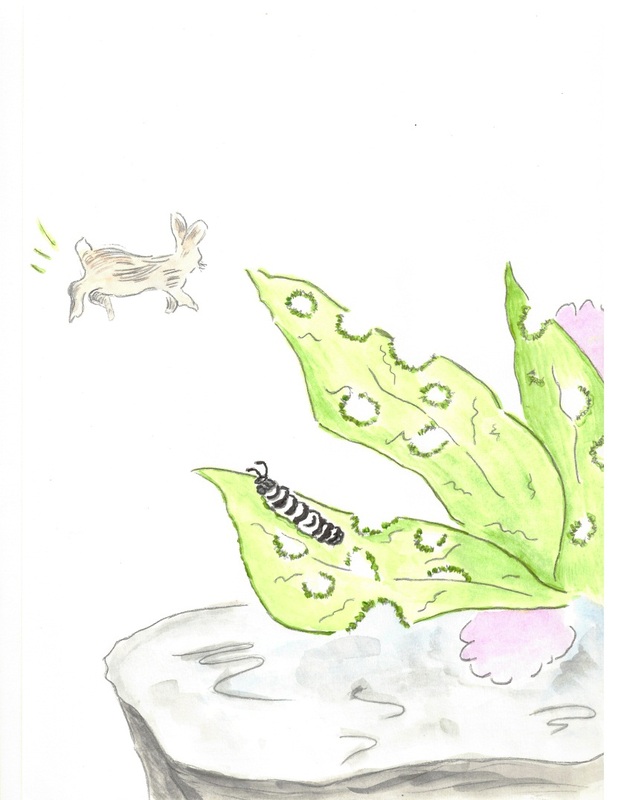 When I decided to self-publish a second edition, I scanned my original art into Adobe InDesign and used the software’s drawing tools to recreate the images. 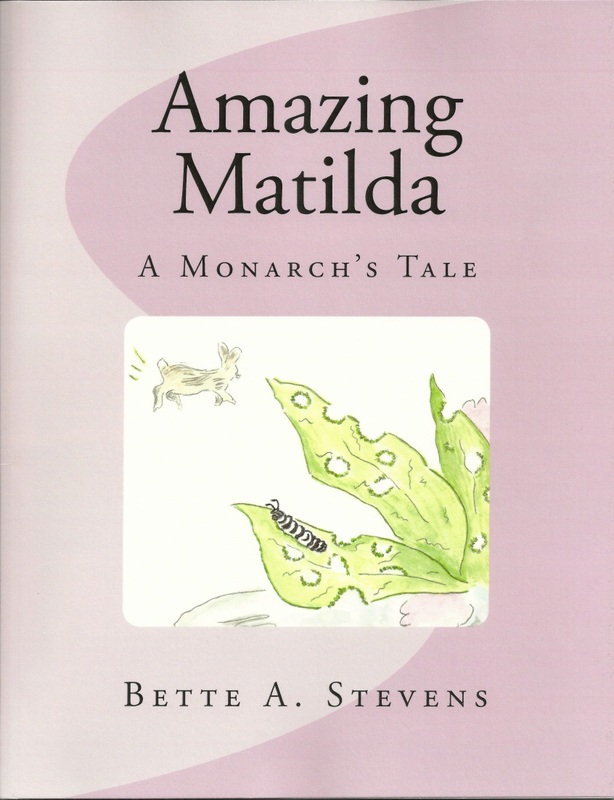 My second book, “Amazing Matilda: A Monarch’s Tale”, is a children’s picture book. The story is written to inspire young readers to reach for their dreams—to meet challenges with patience and persistence. When I wrote the original draft for my students (no artwork yet), I decided to use nature to explain human nature. A butterfly would be the perfect analogy for the growth and development of a child. 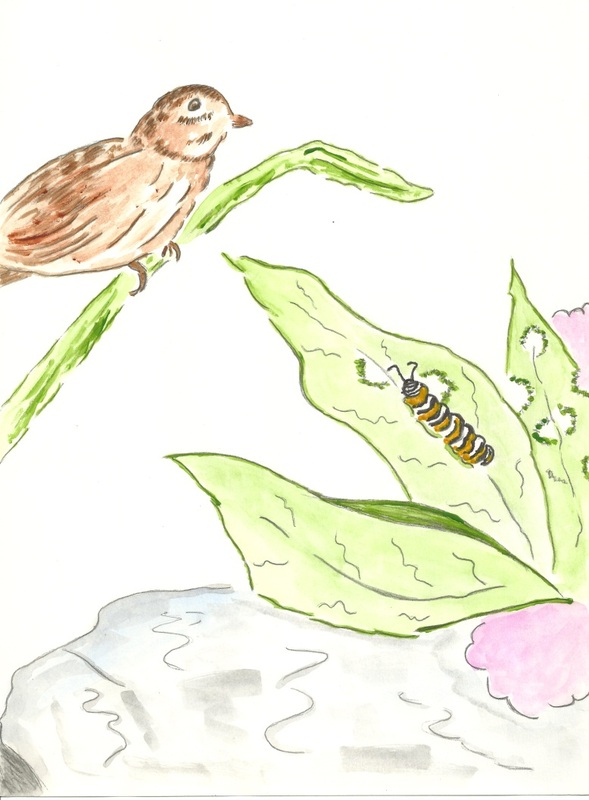 A monarch would be the perfect species, since the monarch butterfly is a benchmark indicator of how our environment is faring; and its habitat, the milkweed plant, is the only food that monarchs eat and it is endangered. And so, we could have an animal adventure story that could teach lessons in environmental science, life science and character education. 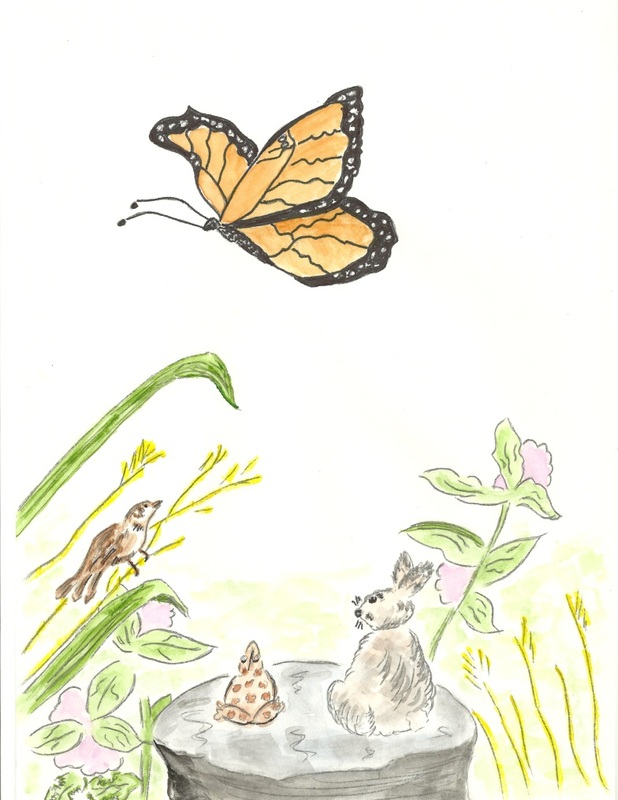 To get inspiration for my drawings, which did not materialize until 2012, I had plenty of research files on the monarch’s life cycle. I used this original research to write the story itself. It included color copies from many sources. In 2012, I added to my stock by searching the internet for different poses for butterflies, sparrows, toads and rabbits, all characters in “Amazing Matilda”. And so, you see, these research drawings and illustrations served as the basis (original outline) for my story and for my illustrations. The character inspirations for the supporting characters in “Amazing Matilda” came from my imagination. I had to think about what wise character (animal) would be the great encourager—Sparrow came to mind. What about friends who would tease and boast? I chose Rabbit and Toad. All of the animals had to be very different, to help children see that even though they are all different, they have much in common. This is how the tale of “Amazing Matilda” was born. I just love your illustrations. Tell us about your best and worst experiences as an artist? My worst experiences are all of the initial stuff. For me, art is very much like writing. DRAFT, EDIT, let it sit; REDRAFT, EDIT, edit some more… It’s all part of the process. Is it a lot of work? Yes. Out of all of that work come the best experiences—the illustrations look just like you had imagined, maybe even better. That’s when you can say, YES! What do you want your young fans to know about you and your work? If you really want to write or draw or paint, or maybe it’s something else that you love to do, just do it. And, save everything you’ve worked on. Even stuff you’ve done for school. Someday, it just may come in handy. You can look back and see how far you’ve come or maybe get an inspiration for a great new project. I have file boxes, folders and binders filled with most of my works’ drafts, trials and research. And, I’ve saved everything from my children. These are the things that dreams are made of. As Matilda’s story reminds us—you can do anything you want to do if you try long enough and hard enough. And, don’t forget to encourage your friends to make their dreams, whatever they may be, come true! Happy reading, writing, drawing and all of those other things that you really love to do. 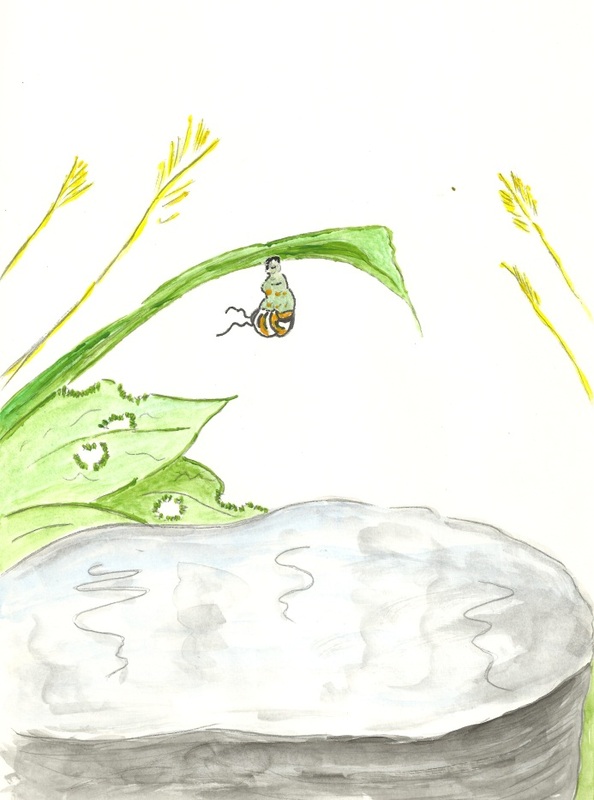 Where can our readers find out more about you and your writing/illustrating? Bette, we’re delighted that you could spend some time with us today. Your illustrations are truly as beautiful as the real Monarch. Thanks Linda for sharing. I like the book, and love the idea of using the monarch the display change, The kids love the butterfly life process.